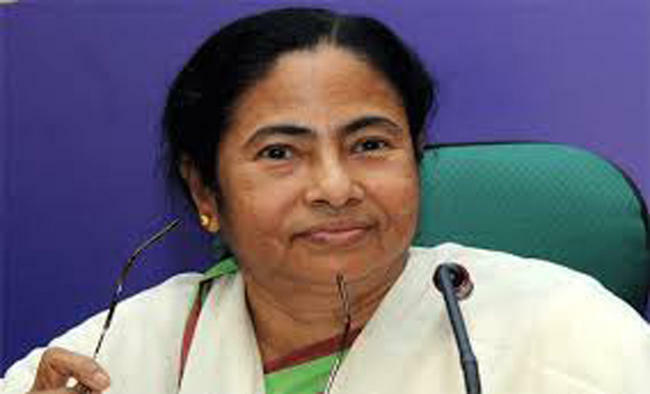 Kolkata: From deputing seasoned campaigners to fight the tough battles in far-off districts, to nominating turncoats in their areas of influence for eroding the vote banks of their former parties - Trinamool Congress chief Mamata Banerjee has adopted multiple tactics in her choice of candidates for the upcoming Lok Sabha polls. While a few candidates with a strong grassroot base in their districts feature in the list for the state's 42 seats, Banerjee has wooed various sections of the electorate - women, Dalits and Muslims - besides continuing her trademark experiments by doling out tickets to political greenhorns, cultural figures and some surprises from the glamour world.The list includes 17 women (41 percent) and seven Muslims - two constituencies Banerjee has always wooed. But it is her decision to name political novice Rupali Biswas - widowed only a month ago when her husband and Trinamool legislator Satyajit Biswas was shot dead by miscreants - as the candidate from Nadia district's Ranaghat that has raised eyebrows. Biswas, the mother of a newborn, as of today, is not even 25, the age one has to attain to contest an election. "Though she will be 25 in time for the nomination, it's yet another instance of Mamata Banerjee showing to the world she is the only boss in the Trinamool," political analyst Udayan Bandopadhyay said. It is in this context that Bandopadhyay attached little political significance to the list. "It's just like 2014 (Lok Sabha polls) Some veteran politicians, some greenhorns from the entertainment industry. Mamata is actually the candidate in all the seats." But there are others who have read into Banerjee's message. Satyajit Biswas, was the Nadia district leader of the influential Matua community - comprising primarily low-caste Hindu refugees from Bangladesh with one crore plus members spread over various southern Bengal districts. "So by naming his widow, Banerjee not only plays on the sympathy factor generated over the killing of the popular leader, but also pampers the Matua community, which is being wooed by the BJP too," said a political observer, requesting anonymity.The acting Matua community head - Mamata Bala Thakur - is the Trinamool MP from Bonagaon in North 24 Parganas district. She has been re-nominated. Banerjee has again reposed faith in the father-son duo of Sisir Adhikari (Kanthi) and Dibyendu Adhikari (Tamluk) for the two East Midnapore district seats. "The Adhikaris are among the few strong leaders in the party with a solid organisational base in their district," Bimal Shankar Nanda a professor of political science, said. On the other hand, two veteran leaders - Manas Bhunia and Subrata Mukherjee - have been handed tickets for seats where the BJP is posing a formidable challenge. Bhunia, a Trinamool Rajya Sabha member who defected from the Congress in 2016, will fight from Midnapore constituency in his West Midnapore district pocket borough. He replaces veteran actress and incumbent MP Sandhya Roy, who has opted out for health reasons. Similarly, Mukherjee, who has deftly handled the crucial Panchayat Ministry in Banerjee's cabinet, has been fielded from Bankura, replacing actress Moon Moon Sen.She won the seat five years ago and has now been shifted to Asansol, where her opponent will be union minister and BJP leader Babul Supriyo. Sen's shifting is an effort to sway the substantial number of non-Bengali voters in Asansol because of her acting career in Bollywood and counter Supriyo, himself a singer-actor, the analysts say. "For both Bhunia and Mukherjee, the election outcome poses no risk to their personal career. If they win, Trinamool gains. If they lose, they return to their assignments in the Rajya Sabha or the state cabinet," said Nanda. In a similar rejig, the articulate and combative legislator Mahua Moitra has been moved to Krishnanagar, a traditional BJP stronghold. With the saffron outfit seemingly having high prospects from the seat, which covers an area noted for its rich scholarship, and educational, cultural and religious heritage, Moitra - a former vice president of J P Morgan - perfectly fits the bill. An interesting feature is the reliance on recruits from other parties in their areas of influence. Thus, Congress MP Mausam Benazir Noor is contesting from Malda North; Paresh Adhikari, earlier a prominent All India Forward Bloc leader, is in the fray from Cooch Behar; and long time Congress legislators Apurba Biswas and Abu Taher will be trying their luck from Baharampur and Murshidabad respectively. Biswas is Banerjee's pick to throw a challenge to her bete noire and former state Congress chief Adhir Ranjan Chowdhury, who is eyeing a fifth straight term. "The calculation behind nominating these people is that they would be able to wean away the vote banks of their former parties," Nanda said. However, what has created a sensation both in the virtual world and the tea-coffee shops, market places and offices is the candidature of glamorous Bengali film actresses Noor Jahan (Basirhat) and Mimi Chakraborty (Jadavpur) - both famed more for their oomph factor than for anything cerebral. "The choice of celebrity candidates helps in areas where a local leader's nomination can trigger a factional feud, harming the party's prospects. "Also, while career politicians may have differences of opinions with the supremo, the celebrities have less ambition politically, and mostly concentrate on their professional careers even after becoming the people's representatives. Banerjee may have thought on those lines," Nanda explained. Besides, the Trinamool nominations have gone to its other sitting star MPs - leading Bengali hero Deepak Adhikari (Dev) from Ghatal, yesteryears' actress Satabdi Roy (Birbhum) and theatre personality Arpita Ghosh (Balurghat).Last but not the least, Banerjee has left undisturbed the party's old guard and stalwart parliamentarians, who are in the race from their old constituencies. Former Railway Minister Dinesh Trivedi (Barrackpore), Sougata Roy (Dum Dum) Kalyan Bandopadhyay (Sreerampore) and Sudip Bandopadhyay (Kolkata North) fall in this category.